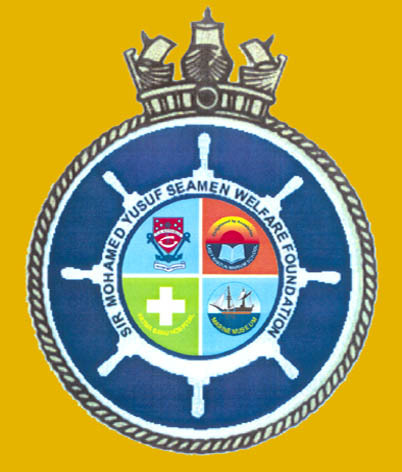 Having shifted the Orphanage to Nhava in 1912 and secured permission to conduct Marine Training, in 1915 nautical education was introduced and the School renamed as the Marine School. On December 4th 1918, a petition was prepared by about 650 seafarers and presented to the then Governor of Bombay for starting a training college for Indian seafarers. A committee was appointed to consider the proposal and submit its recommendations. A resolution was also moved on January 12th, 1922 by Sir P. S. Srivarswami Aiyar in the Legislative Assembly “to investigate ways and means of promoting the formation of an Indian Mercantile Marine and the encouragement of ship building.” In April 1923, the Indian Mercantile Marine Committee visited Nhava and commenced negotiations with Sir Mohamed Yusuf to convert the Marine School at Nhava into a full fledged training establishment under Government auspices. Sir Yusuf declined to hand over the School to the British Government and negotiations broke down. The Petitioners thereafter approached Sir Yusuf directly to convert his school into a Marine Training Establishment, which he readily agreed to do. In 1925, the School was renamed as Marine College, and affiliated to the Bombay University. Classes were taken up to the Matriculation Level to qualify for the Home Trade Certificate of Competency. With 375 students on the register, the Marine College became the first training establishment to train Indians both as Ratings and Officers for the Mercantile Marine. The Decade of the 80s however, witnessed a new chapter in the History of the Training Ship with the introduction of the IMO Modular Courses, and thereafter, the reintroduction of Pre Sea Courses for Navigating Officer Cadets in 1988, followed by Pre Sea Rating training in 1991. With the addition of the Global Maritime Distress and Safety System Course in 1996, the Training Ship embarked on a new phase of electronic simulator based courses. The addition of RANSCO and ROC ARPA courses in the Institution has further reinforced the usefulness of simulators. Training Ship “Rahaman” has thus rendered yeoman service to the Maritime community for over nine decades and can justifiably look back to the past with a sense of pride and to the future with anticipation and confidence. Original School / College Leaving Certificate for proof of age. Medical Fitness Certificate from a DGS approved Doctor. 18 Passport size photographs & 4 stamp size photographs with white shirt & light background. Eligibility:- H.S.C. (10+2) or equivalent from a recognised board with 55% aggregate marks in PCM subjects OR BSc with Physics, Chemistry & Maths OR Electronics with 50% marks in final year OR BE / B. Tech.& Minimum 50% in English at either 10th or 12th Std. Eligibility:- Passed 12th Std. with 40% aggregate & 40% in English in either 10th or 12th Std. A separate building on the Campus is provided as a multi purpose recreation centre. It consists of a specious auditorium with facilities for seating 800 persons or 300 diners, video projection and audio system and a stage. It is also utilised for inaugural or valedictory functions, seminars, lectures and food festivals. When not in use for the purposes mentioned above, it is utilised for indoor games, such as badminton and table tennis. It has a well equipped Gymnasium furnished with treadmills, rowing machines, exercise bicycles, and lateral pulleys and seven station multi station fitness machine.